Zenoc's doc is temporarily unavailable, for some reason....so someone can't cast a vote on it, till it's uploaded elsewhere..or till it becomes available..
That's too bad, its a good story and will give 3DGamer tough competition! I'm still undecided. They are both written very well and would both make great adventure games. I meant that the link wasn't working to view it.. It's now working.. Google Docs wasn't available for awhile..Hopefully it will stay available now..
3D, you are an excellent writer! I'm sorry that you didn't have time to write your story out fully. I hope you don't mind if I vote for myself. Nothing personal, it's just that the aliens don't really seem to have a reason for invading Earth. I enjoyed reading yours as well, Zenoc2...but alas, yes, I voted for myself, as well. Now we are tied! Hmmm, I wonder what happens if there is a tie...do we each get a USB 4-port Hub or do we have to split it? Btw Mercedes...what happened to your story? Hi everyone! Sorry I didn't post earlier. I'm Zenoc's sister, so my vote is obvious. Anyway, bug me all you want if you need sound effects for the games. I'm making a major life decision right now... ok, I'M BORED! Welcome to the forums, sis. Splitting it, I like that. Although I'm more in this to see what people think instead of the prize. I loved both stories; both contestants did a great job on them; it was very hard to vote for just one of them! I hope we can play them soon . Will there be more story contests? I love writing, and it sounds like a lot of fun. Yeah, Zenoc, I'm into the seeing what people think as well. So you have a sister that is into gaming too? Cool. Btw, did you notice, Zenoc, that both our games dealt with the aspect of "family"? I thought that was interesting. Not sure what i'll do if it is a tie? And I won't vote because I started the contest. Have them write another story! This is quite interesting, but doesn't suprise me since both stories were excellent. You can't very well toss a coin, and to build something to similate this seems a bit elaborate. If there was an adventure game where the first one to solve it wins, that would be cool. I guess you could wait until the next vote is cast after the deadline and then end it...assuming that someone at sometime would cast a vote. You're right about the family aspect. What I also think is interesting is that we kind of turned things on their heads with our stories. In yours, the kids end up saving the adults from aliens, and using neat technology to boot! In my story, the son has to be saved from his own vivid imagination by his father, only to have the father trapped in his own imagination! reneuend wrote: I guess you could wait until the next vote is cast after the deadline and then end it...assuming that someone at sometime would cast a vote. So when is the deadline for voting? I never saw the date. I was presuming about a week or so to give people a chance to log on and read them. But I haven't heard anything definitive from Candle, yet. Hey Candle, this is getting intense...help! reneuend wrote: You can't very well toss a coin, and to build something to similate this seems a bit elaborate. If there was an adventure game where the first one to solve it wins, that would be cool. Perhaps Zenoc and I should create a puzzle or two from our games to help break the tie? Puzzles? That would be an automatic win for you, no doubt. I've never made a complete AM game. And, I'll admit, my story would be difficult to do as a game. I sent you both a PM please get back to me when you can. Zenoc2 wrote: Puzzles? That would be an automatic win for you, no doubt. I've never made a complete AM game. And, I'll admit, my story would be difficult to do as a game. Not a complete game...just a frame to illustrate one aspect of it. I was thinking about Dill's first encounter with the projector scene. The player would have to keep his mouse over the button and (using a VBS Timer event) have the projector turn on. Maybe not an exact puzzle [at least not for the ones who have already read your story, because they know what the answer is, already. ] but I wonder how many players would keep their cursor on a hotspot for a long period of time to see if it could work? Most of us just click and then if something doesn't work, we click again. Holding your cursor over a hotspot to get something to work would be a real puzzle challenge, IMO. But that would mean switching between characters as the story progresses! 3D, your story would work well as a game, but I'm afraid mine only works as a story. At least... until the technology in my story becomes available. Then I would consider making a game of it (with safety limitations, of course). Another idea for the tiebreaker would be for both to complete a puzzle right here--in the thread.....Say a game of hangman or something..
You have say a clue so--movie or something or just a sentence, and the hangman hangs--a little at at time. Whoever guess wrong letters, and hangs first--loses or whoever guesses the topic wins..Just an idea..
Are there really only ten members around to vote on this? What about the huge list of people that shows up when I click on "memberlist"? To be fair, maybe there should be a deadline for casting a vote. As for a tie afterwards, How about building a quick AM puzzle that the contestants must dowload, run, and finish. The first one to report back to this thread with the phrase that shows up after solving the puzzle, wins. Of course, both contestants would have to be notified as to what time the game would be available! Like I said reneuend we will wait. And 3dgamer is ahead once again! This is intense. Candle, could you please set an end date for this? Looks like 3dgamer is the winner , thanks guys for playing this short game contest. 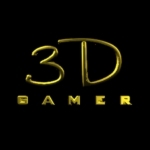 Congratulations, 3DGamer! Your story was fun to read....now we just need the game!